Exchange Evaluation - What's Your Used Car Trade-In Value? Did you know your vehicle may be worth more than you think? 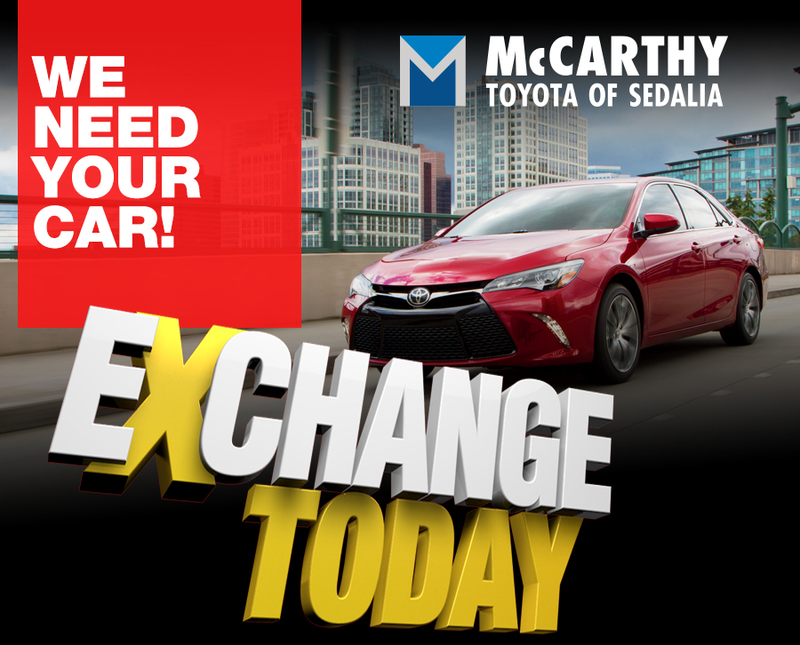 The McCarthy Exchange Program allows you to trade your vehicle for a new one and keep a similar payment with little to no money down. We know your vehicle’s history so we can sell it with greater confidence than a typical pre-owned vehicle. Job changes, additions to the family or kids moving out can all affect the type of vehicle you need. This program lets you upgrade your vehicle as life changes. Even if you are not interested in a trade we will evaluate your vehicle free of charge. We still want your car! If you are interested in learning more about this program, with no obligation, fill out the form below and we will have one of our Exchange program representatives personally reach out to you. 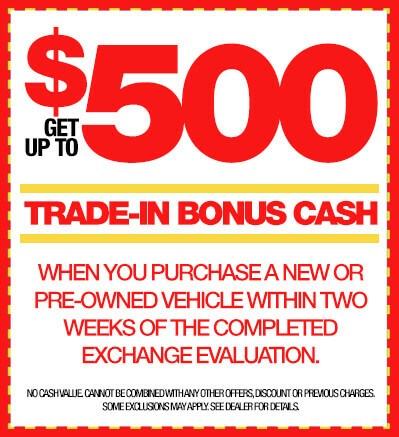 You can also give us a call at 888-693-4664 or just stop by to set up a quick and complimentary Exchange Evaluation.